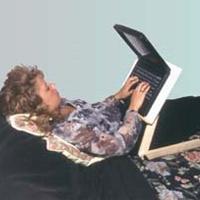 Laptop Laidback is the ideal product for using your laptop in bed or in a sitting position. 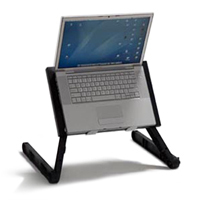 The laptop surface is adjustable and provides a wide range of angles. Sturdy construction ensures good durability.